With higher profit margins, due to dealing with a generally more affluent clientele, the log cabin market could be a dream niche for some paint pros. But in trying to do these jobs right, a lot can go wrong. 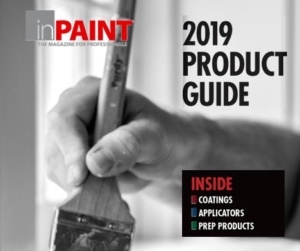 So, in order to thrive, paint pros need to recognize the intricacies involved with applying coatings to unique wood surfaces. Having educated hundreds of contractors since its first seminar in 1999, Colorado-based Sashco Inc.’s ‘Zero Failures’ educational program is back with three seminars the spring of 2017 to help paint pros learn the ins and outs of proper wood and log cabin finishing. Additionally, the program offers plenty of tips on how to accurately bid on log cabin or wood exterior jobs, and how to position yourself as an expert on wood finishes. 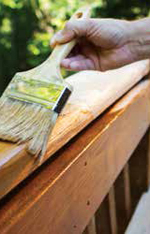 The Zero Failures program goes deep into what Babcock calls ‘the science of wood’ and specific types of coatings (semi-transparent stains) used for both log cabins as well as exterior wood surfaces like siding. Classes are taught by chemists and pros in the field. “Semi-transparent stains are different formulas that come with their own strengths and weaknesses,” Babcock added. Extra prep is also needed on log cabin and exterior wood jobs. For existing log cabin surfaces, for example, logs may be cracked and a pro will need to pay closer attention to dry times if pressure washing. Trapping the moisture inside the log by applying a coating too soon can lead to early peeling. Sun exposure on log cabins is also unique. During the summer, the top portion of it could get as hot as 170 degrees due to the curvature of the log, Babcock noted, creating more stress for the coating. Generally speaking, how exposed wood expands and contracts with hot and cold temperatures can dramatically influence the amount of required prep work. The seminars also cover proper bidding techniques for log cabin and other wood projects. It’s not uncommon for pros to bid log cabin or other jobs involving considerable exterior wood similar to other paint work, then only factor in a small amount of extra prep time. This approach can be damaging to profit margins, and far worse if the customer calls back to have a mistake corrected. Zero Failures also teaches pros about customer maintenance contracts, which could create repeat business for years to come. “That’s less prospecting the contractor has to do,” Babcock added. The Zero Failure seminars will be held at Sashco’s Colorado manufacturing facility on: Feb. 23 & 24; March 23& 24, and April 20&21. Attendees are also eligible for Sashco’s contracting partner program, which offers project leads to business owners. Started in May of this year, about 100 leads have already been generated for coatings experts, Babcock noted.